Good luck to all teams during the upcoming Winter season! The Pennsylvania Heartland Athletic Conference is a coalition of 20 PIAA High Schools within central Pennsylvania that have combined to overcome adversity and work together in the fields of academics and athletics. The conference is made up of 20 high schools found in seven regional counties. Current member schools are Bloomsburg, Central Columbia, Central Mountain, Danville, Hughesville, Jersey Shore, Lewisburg, Loyalsock, Midd-West, Mifflinburg, Milton, Montoursville, Mount Carmel, Selinsgrove, Shamokin, Shikellamy, South Williamsport , Southern Columbia, Warrior Run and Williamsport High Schools. Each school competes in the conference in all the sports offered by their high school. The PHAC came into existence with the 2008 Fall Sports Season. The PHAC has roots in the Central Susquehanna Conference, the Schuylkill Valley League , the Tri-Valley League, the Susquehanna Valley League, the Mid Penn and the old West Branch Conference. The goal of the PHAC is to facilitate the work of each schools athletic department with scheduling, meetings, finances, official assignments, sportsmanship and communication. 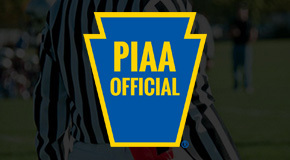 Matchups and results from PIAA State competition can be found at http://www.piaa.org/. Select "Sport" to view the sport you are looking for and then "Championship Information" to the right to go to the current and past championships. Welcome to the Pennsylvania Heartland Athletic Conference website. Our goal is to provide as much information as possible about the schools, teams and participants in the PHAC as possible. The site will be continually updated to keep the information current and pertinent. Please check back often! The PHAC offers league championships in Boys Basketball, Girls Basketball, Boys Track and Girls Track. As we get closer to the dates, matchups and results will be posted under the "Championships" section of the website.